Whether you are planning a social affair, a meeting, or a conference, the George W. Bush Presidential Center is the ideal destination. Nestled on a lush, 15-acre native Texas park on the campus of Southern Methodist University, the George W. Bush Presidential Center houses the George W. Bush Presidential Library and Museum, the George W. Bush Institute, and Café 43 – three distinct venues offering a variety of spaces for your next special event. Rental opportunities at the Bush Presidential Library and Museum include the Museum's main lobby, the towering Freedom Hall, and the adjoining outdoor Ceremonial Courtyard. The Bush Presidential Library and Museum offers a unique event space to accommodate up to 400 guests. 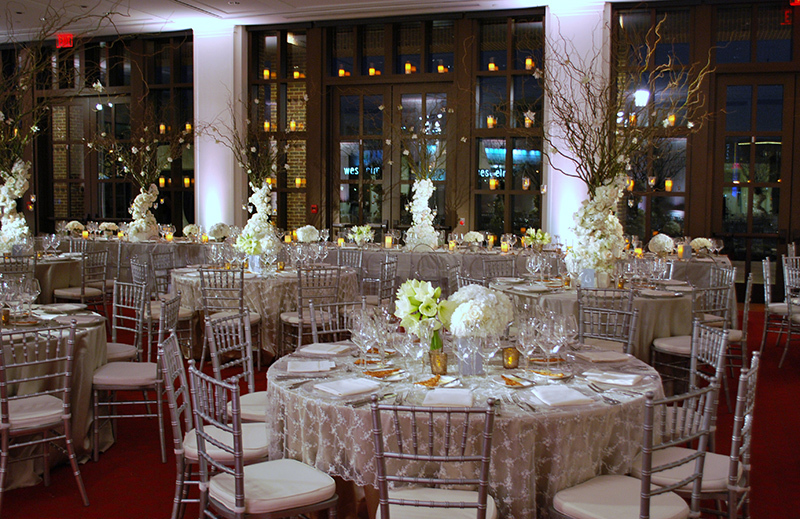 Special event catering is artfully prepared and presented with customized menus. 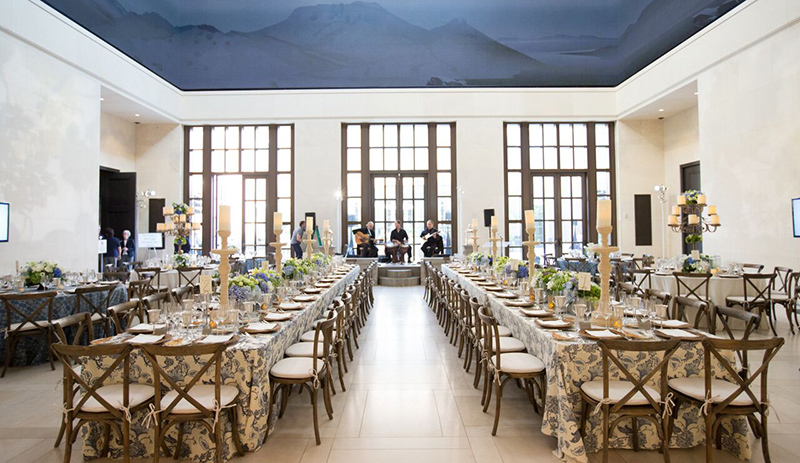 The Bush Institute features a state-of-the-art auditorium and beautifully appointed Hall of State, with an outdoor terrace overlooking the impressive Native Texas Park - inspired by design elements found in the White House. The Bush Institute is home to the dynamic public-policy arm of the Bush Center. With high ceilings, airy walkways, and streams of natural light, the lower floor of the Bush Institute is closed to the public and provides a unique atmosphere you will not find anywhere else. As few as 10 or as many as 400 guests may gather for breakfast meetings and luncheons, stately receptions, or elegant dinner affairs. Café 43 - named in reference to the 43rd President of the United States, George W. Bush – boasts stunning, contemporary interiors that provide the perfect backdrop for rehearsal dinners, family gatherings, or other festive occasions. Café 43 is open for lunch and brunch only, making this beautiful dining space a desirable destination for private functions during the evening hours. With no banquettes or tall partitions, the restaurant can be transformed easily to accommodate events with as many as 150 guests. 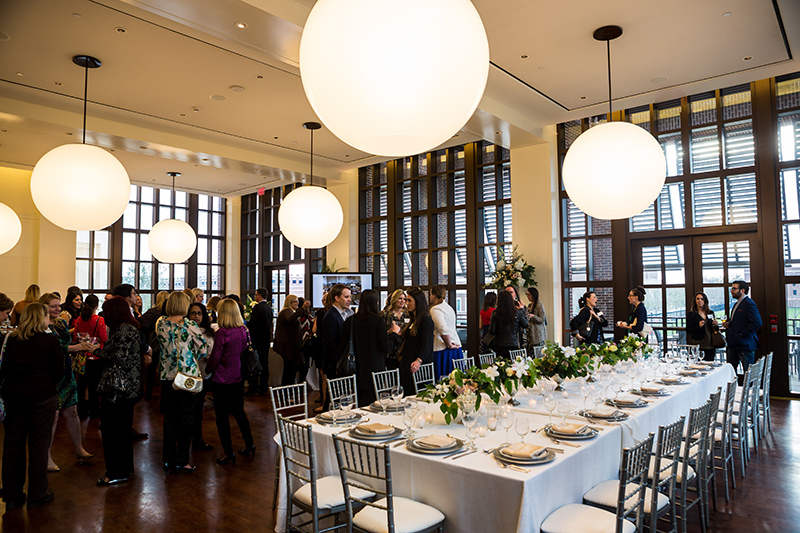 With exquisite terrace seating overlooking the Bush Center's Native Texas Park, Café 43 is a convenient, centrally located choice for rehearsal dinners, bridal showers, retirement parties, corporate dinners, and other private events. To reserve space or secure your event date, fill out Special Event Request form. To reserve space or secure your event date, fill out the Special Event Request form.